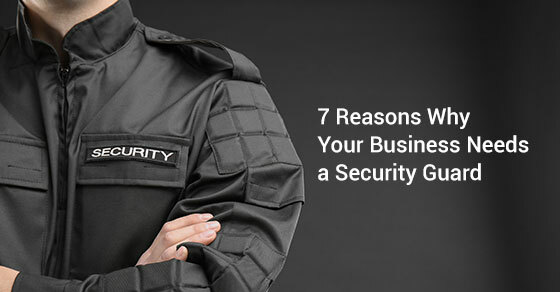 Many small businesses, restaurants, office buildings, and large commercial properties in Canada are turning to private security companies to handle their security needs. From video monitoring and alarm systems to mobile patrols and security guards, these independent companies offer the peace of mind that comes from knowing your business is safe and protected. Not only can security guards help combat theft, violence, and criminal activity, but they can also assist in medical emergencies, fires, and other emergency situations. As businesses grow, their security needs increase. 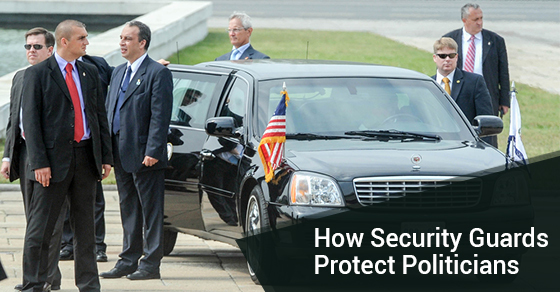 How Many Security Guards Do You Need For Your Event? 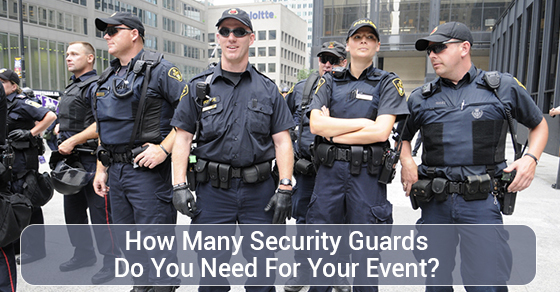 Trying to determine how many security guards are needed for your next event can seem like a guessing game. However, it doesn’t have to be. 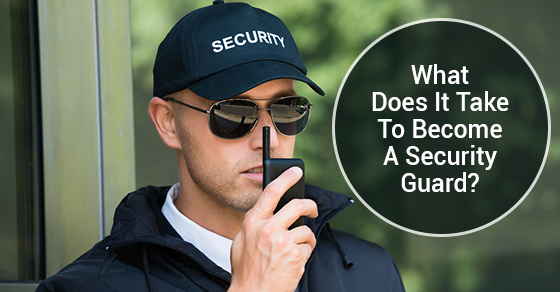 In order to keep risk at a minimum and keep your guests having fun, answer the following questions to know exactly how many security personnel you’ll need for your next event. Political events are held in front of thousands of people. They often take place outdoors and although they are meant to attract those who align with the ideas of the political party in question, they can be a target for those who don’t agree and fanatics. Unfortunately, there’s no way of knowing exactly who will show up at a political event, no matter how tight security is.